Yet again, I have to express my disappointment with my fellow secular Kiwi countrymen and women. You might expect that Kiwis would enjoy a meaningful debate or even a conversation about perennial topics such as philosophy, religion, politics and human rights. Yet, it seems that their apparently intelligent and caring nature is merely a paper-thin veneer, hiding shallow, ignorant personalities that are incapable of dealing with nothing more challenging than discussion of TV shows, cars or sport. I don’t know the reason, but I believe it must stem from their physically isolated geographic location. It seems to me that most Kiwis are hiding from something - I suspect it is from themselves. They appear to be incapable of honest reflection on their own individual lives and their place in the world; or if they are occasionally capable of it, they then run away and hide behind a mask of banal triviality. It is as if they are sleep-walking through life. Generally, ex-muslims (deviants) such as myself, are all too painfully aware of the minute-by-minute onslaught of stupid behaviour around the world by Muslims and others. These behaviours are primarily driven by ignorance (wilful or otherwise) and it is painful to watch. Yet Kiwis are painfully ignorant (innocent? naive?) of the situations facing others around the world and even locally. In my experience, when I have attempted to gently allude to some of the situations, I would have expected their natural curiosity to lead to questions and a useful conversation. However, the conversation simply gets diverted or shut down - sometimes quite aggressively. In the worst case, a gentle attempt at opening discussions with Kiwis sadly led to complete and immediate termination of what had previously been good working relationships. 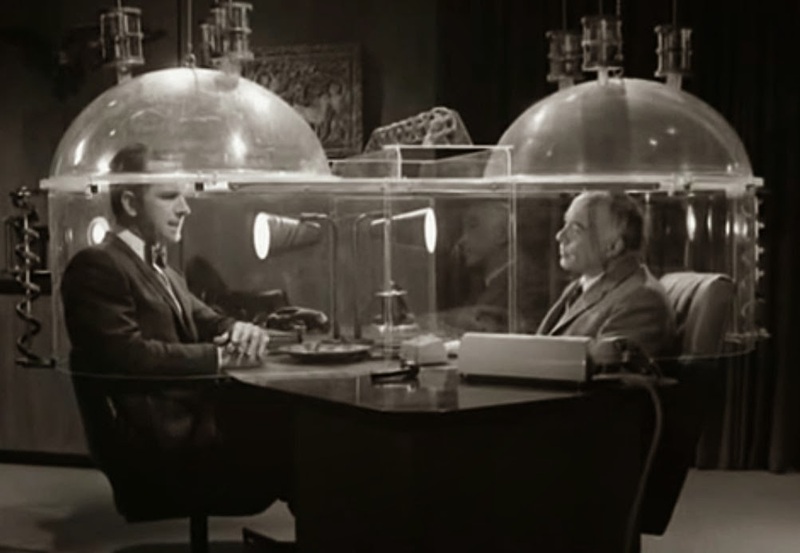 The other alternative Kiwis tend to adopt is a ridiculous metaphorical 'cone of silence' whereby anything that could potentially lead to a conversation about known taboo topics is nipped in the bud, deftly steered away from or whispered about almost out of earshot. Perhaps Berger and Luckmann's concept of 'recipe knowledge' is applicable here. A sudden exposure to a different reality is not something Kiwis have a pre-defined response or recipe for. In my experience, the British on the other hand have quite a different set of behaviours, they have a much broader outlook and set of experiences from which to work and they'll dive straight in, ask questions and have a debate. New Zealand needs to wake up and join the rest of the world. They need to be face their fears, get informed and educated (not indoctrinated or propagandised) read a bunch of books, ask questions and seek real answers. Maybe I'm asking too much. Back in 1967 Berger and Luckmann described reality as being a social construct with people inhabiting parallel universes; physically in the same location but interpreted differently by people based on their prior socialisation. What we're seeing is exactly this. How do we bridge the gaps between those universes? The book describes 'two applications of universe maintaining conceptual machinery : therapy and nihilation'. I had identified these two things myself and had been referring to them in my own metaphorical slang as the egg-shellers and the barge-polers. The egg-shellers (therapists) will gently tiptoe around the deviant, remaining ever sensitive to anything that might upset things and gently try to rehabilitate the deviant, bringing them back into line; the 'cone of silence' being one of these methods. On the other hand the barge-polers (nihilists) will try to destroy the deviant in often an often quite unsubtle manner - but will not come close enough to develop a relationship or risk becoming tainted with deviancy; it will all be done at a distance using a metaphorical barge-pole. These people are often too cowardly to engage in direct conversation or debate, but will intimidate and bully indirectly ensuring their message gets across, but not saying or doing anything that could be responded to directly. A direct message might expose them to a direct response or even a rational adult conversation - and that would never do! New Zealand and the rest of the world, desperately needs some rational bridge-building, to open up viewpoints between these various universes. Them and us. Is integration possible?